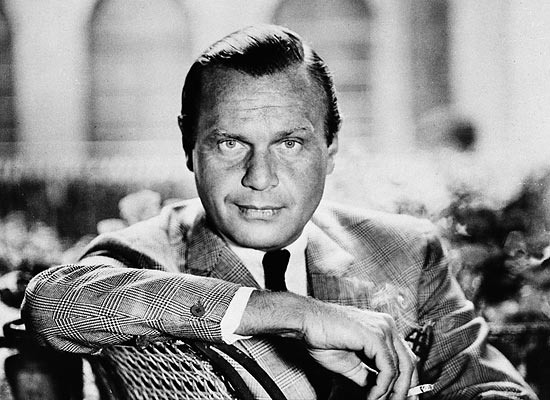 Bill Blass (born as William Ralph Blass in Fort Wayne, Indiana, died in New Preston, Connecticut) was a famous Designer from USA, who lived between June 22, 1922 and June 12, 2002. He became 79 years old. William Ralph "Bill" Blass was an American fashion designer, born in Fort Wayne, Indiana.1 clothing is known for its expensive, his style and his innovative combinations of textures and modelo. He has received many awards in fashion. Blass began his career in 1946.1 In 1970, after two decades of success in male and female clothes, he bought Maurice Rentner Ltd., which had joined in 1959, the new company formed was called Bill Blass Limited. For 1998, the company obtained a profit of 700 million dollars. Blass's designs are among the most popular. Ellin Saltzman As stated in New York Times, "He is one of the best fashion designers in the world." In 1999 Blass sold the company for $ 50 million and retired to his home in New Preston, Connecticut. Blass died in 2002 cause of cancer. He is born under the zodiac cancer, who is known for Emotion, Diplomatic, Intensity, Impulsive, Selective. Our collection contains 6 quotes who is written / told by Bill. "Red is the ultimate cure for sadness"
"Each individual piece is a calculated attempt to entice women to add to their wardrobe"
"Something about glamour interested me. All my schoolbooks had drawings of women on terraces with a cocktail and a cigarette"
"Sometimes the eye gets so accustomed that if you don't have a change, you're bored. It's the same with fashion, you know. And that, I suppose, is what style is about"